What does it take to make an animated TV show a reality? If you want to do so, you need to understand that animation is difficult. Actually, let me rephrase… animation is difficult AND tedious. But it’s not impossible, obviously. I worked with the super talented Alfonso Amey on our “In Control“ animated pilot for weeks before we saw anything near completion. Even then, we weren’t done. Further, today (years later) we’re still not done. Why? Because writing is rewriting and drawing is redrawing. Our animated idea about a couple of rebellious characters getting into trouble which we titled “In Control”, eventually turned into another pilot that we titled “The Basement Show” where the characters became a bit edgier. 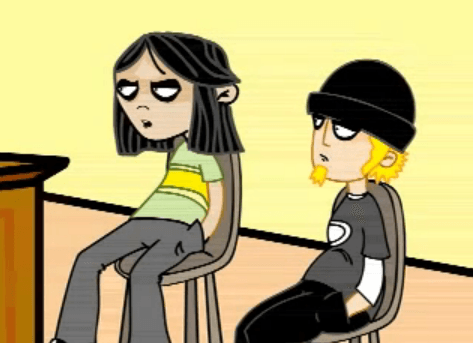 After that The Basement Show turned into another pilot which is currently known as Ceasar and Chuy – but even within this last change, the characters underwent other massive changes – both in their persona and artwork. The process of making this happen was quite a journey that I hope to share piece by piece (since there are A LOT of pieces to share). Next post Finally FULL EPISODES of LATINO 101 are online… For Free!! Click here to LAUGH!! !